It is fitting that the first automaker to offer a complete, end-to-end online sales process is called Genesis. 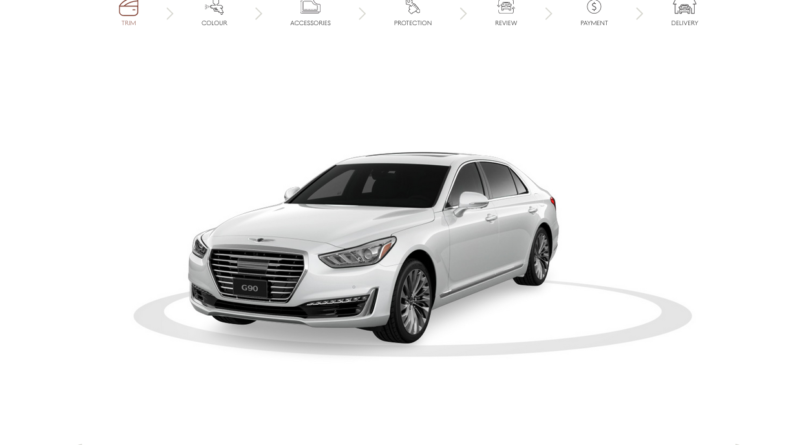 Soft-launched in Canada in November, the new luxury brand from Hyundai planted its flag in the digital landscape with its Genesis at Home program. The strategy allows for an entirely online retail process including scheduling a demonstration and vehicle test drive at a location of the customer’s choosing, complete lease or finance paperwork, deposit and ordering the new vehicle through the digital platform. And while history might bestow glory on Genesis and its executive team for taking that first pivotal step towards a total online vehicle retailing strategy, the force that underpinned much of the program is a Canadian company that has spent years thinking there was a better way to do things. “We really understand the process from click to drive,” explained Andrew Tai, CEO of Toronto-based Motoinsight, the team behind the MotoCommerce platform used by Genesis. Boasting nearly six years of R&D, MotoCommerce is a retailing platform designed to allow traditional automakers and dealerships to deliver a truly online shopping experience for vehicles. The ground Genesis is breaking is significant from an OEM perspective. 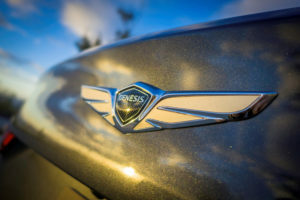 While many will point to the fact Tesla has been retailing vehicles online since its inception, Tai stressed the Genesis program running in Canada goes beyond what the California EV maker has ever offered a customer. “The experience goes even further than Tesla and beyond simply configuring a vehicle and submitting an online deposit. Genesis includes facilitating trade-in appraisal, the F&I process, credit application, delivery and more in a seamless, connected process,” he said. Tai said the conversations with Genesis started near the beginning of the year with building and implementation started in the second half of 2016. Since the MotoCommerce technology is modular and based off a shared platform, it allows for a relatively quick turnaround for customers. The different components include modules for vehicle configuration, accessories, F&I, online deposits, credit applications, trade-in appraisals, appointment scheduling for delivery, proof of auto insurance and more. “Clients can choose the elements they want as a part of their process. The customization part is really the skin that sits on top of it all so it suits the brand and feels native to their customers,” he said. Michael Ricciuto, director of Genesis Motors Canada, said that as a new entry into the luxury space, Genesis had the opportunity to look at the competition and figure out how it could go to market differently. “With so much of the broader consumer industry going more and more digital, we felt it was time for an automotive brand to do the same,” Ricciuto said. He said modernizing the purchase experience is key to the Genesis brand promise of delivering human-centred luxury. The Genesis strategy comes at an interesting time for automotive retail. On one hand, the market has seen a handful of individual dealers and a few large dealership groups like Dilawri and OpenRoad start dabbling in forms of digital storefront technology with new websites and online processes. At the same time, third-party disruptors like EVEN, Carvana and others have recognized the failings of the traditional retail model for the next generation of car buyers and developed new, web-based solutions that are starting to make waves in Canada and beyond. Even Amazon is getting in on the game as news broke in November that the U.S. online retail giant had partnered with Fiat in Italy to sell cars online. The pilot will let Italian buyers purchase one of three Fiat models – 500, 500L and Panda – online at Amazon.it. Gianluca Italia of FCA in Italy, who said during an online press conference that it was time to give consumers a new and more efficient way to choose a new vehicle, also noted the program would loop in dealers with buyers forced to choose at which dealership they will finalize the purchase and pick up the car. In the face of Amazon’s pilot, Tai stressed the future market would likely develop into two battlegrounds pitting OEM sites against non-traditional contenders. “Online marketplaces like Amazon and eBay, where customers are already going to buy virtually everything else, will likely move into new cars in the near future. They are well capitalized, have abundant resources and, in a few cases, have already provided a forum for used-car transactions for years,” he said. It is also likely that third-party automotive sites like AutoTRADER, Canadian Black Book and others will be looking very closely at Amazon to determine how they can also leverage their audience to drive actual vehicle sales transactions for OEMs and dealers, instead of just delivering leads. Tai said Amazon’s Italian project should be a message to all OEMs. If an automaker wants to control the online experience and how its brand is represented, this kind of transaction capability needs to be on its own website. Automakers are in the driver’s seat now considering that most shopping journeys see customers visit a tier one site at least once for research prior to purchase. 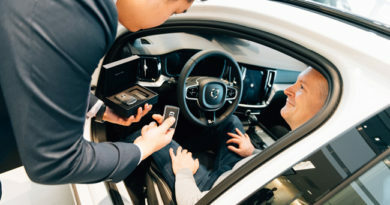 “It is the perfect opportunity to enable the customer to go far further in the transaction and allows the OEM to control the customer journey and experience,” he said.